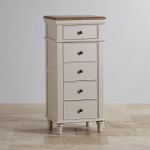 The Shay tallboy is an elegant statement piece for your home, with fantastic storage and great looks, too. 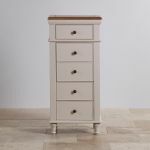 The 5 drawer chest is made using 100% solid hardwood. 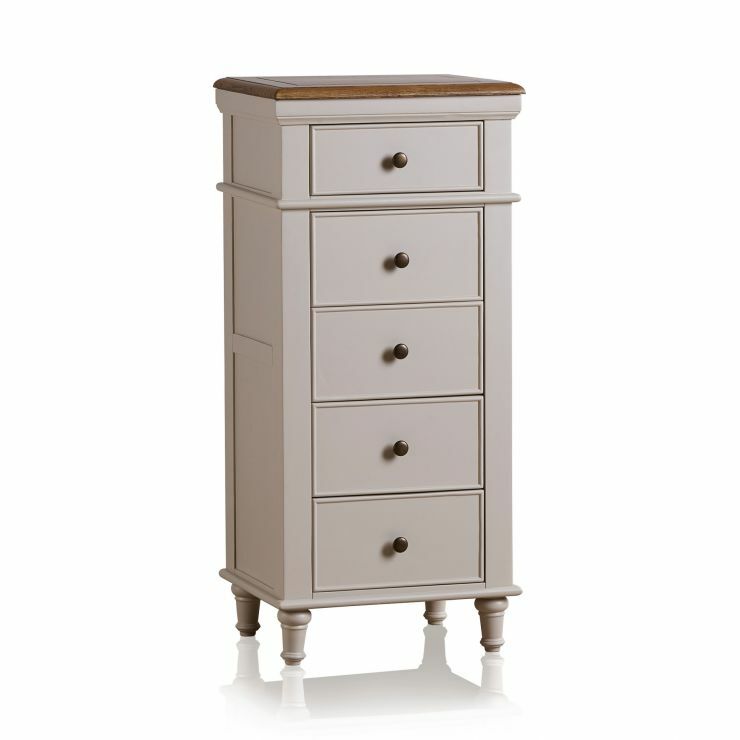 The base is painted a shade of almond grey, whilst the top is a complementary rustic solid oak piece with cut detailing. 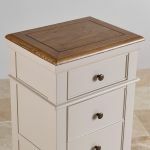 Even the bases, backs, and runners of the drawers are hardwood, and they're finished with real dovetail joints to meet our stringent quality standards. 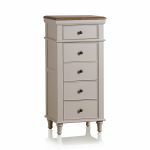 This tallboy has all the design hallmarks of our Shay collection, including delicate cornices on top and striking turned feet which elevate the look of the piece. 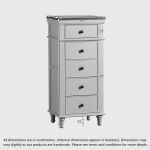 The drawers are finished with dark metal hardware which provides interesting contrast. 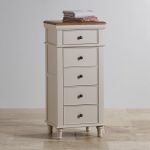 The tallboy is a great addition to your bedroom, hallway, or home office to add useful storage and style. 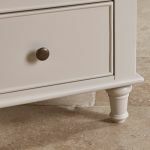 Browse our full Shay collection today!